Lo Dubs continue to balance out their dubstep rave inclinations with a deeper touch after lusher drops from ClubRoot and Syntonics. 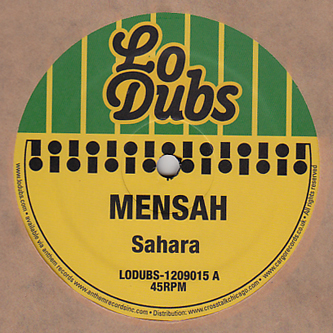 Mensah step up with the cinematically scoped 'Sahara', sounding to our ears like Steve Hitchell coating an Indigo or SYNKRO styled techy dubstep rhythm with his ambient fuzz. 'Not A Shy Gyal' on the flip toughens up after the fragility of the A-side with a Croydon debted standard, all dark, crushing and oppresive dubstep for the dancehall. For fans of Coki, 6Blocc or N-Type.